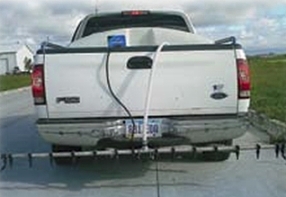 Mineral Point Liquid Deicer® has current technology solutions for Snow and Ice Control. Our high-bred anti-icer includes a unique blend of magnesium and calcium chloride. 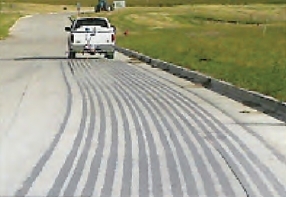 We also carry materials for erosion and fugitive dust control, ideal for use on roadways, parking areas, and driveways. Mineral Point Liquid Deicer® also carries 3,000–10,000 gallon storage tanks for on or off site liquid storage, as well as flexible pick up and delivery options. Unlike the costly startup of salt spreaders, costly labor and consistent application, liquid deicers make it easy to gain an advantage at a low cost. Minimal equipment is necessary to start, store and maintain the use of liquid deicers, making it essential for smaller companies and firms. State facilities have begun to use similar compounds and now local communities can achieve the same advantage. Learn more about our Commercial Anti-Ice Sprayer System. Cover 1 Acre in 3.63 Minutes at 15 mph.